Or so the CFTC alleges. Guimaraes does not admit these facts. But he doesn’t deny them either. He can’t. He agreed not to deny them in a settlement agreement with the CFTC. Here are a few more findings Guimaraes agreed not to deny. He told potential customers that he had five years of forex trading. He had none. He showed them charts reflecting consistent gains, but these were from “demonstration” accounts where no actual trades occurred. He misappropriated over $44,000 for his personal use. He also (somehow) got his customers to agree to keep their funds invested for six months or a year before requesting withdrawals – a trick he likely learned from hedge funds. But he is not a hedge fund manager. 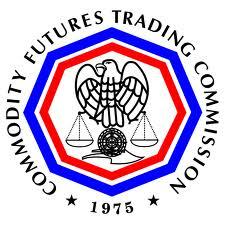 Nor is he registered as a commodity trading advisor with the CFTC. And he has not been registered with FINRA or the SEC since 2007, according to his BrokerCheck report. This report also shows that he has previously agreed not to deny some bad facts. In 2008, FINRA fined him $5,000 and suspended him from associating with a FINRA member for 30 days for selling insurance and annuity products without permission from Waddell & Reed, where he worked at the time. Anyway, in May 2011, Guimaraes apparently began telling his customers that the CFTC had frozen the trading accounts due to a “registration issue,” and as a result, “all of their funds were lost.” This wasn’t true, except the part about the funds being lost. Guimaraes operated from Irvine California with a firm called ACI Capital Group, LLC. As is often the case with small financial firms that find themselves in regulatory trouble, it appears there is no actual “group” — just Guimaraes — which is good since the other members of the “group” would surely have been disappointed to see that ACI Capital Group is jointly and severally liable for the $850,000 in restitution and penalties. Also disappointing would be the permanent ban on trading that the CFTC imposed on Guimaraes, which also applies to ACI Capital Group. It is baffling how someone like Guimaraes can manage to raise nearly half of a million dollars from customers. His trading operation is littered with red flags. He had no affiliation with any recognized financial institution; no registration with the CFTC, FINRA or the SEC; a prior fine and suspension from FINRA; and it must have been apparent that there was no “group” in his “Capital Group.” Keeping investors away from those who pretend to be commodities traders or pretend to be hedge fund managers is still a constant battle, despite the massive publicity of the Madoff affair. Risking it all to have "LUTCF" after your name. FINRA Sanctions Trainee for Claiming He Almost Passed the Series 7 Exam.